Students and staff participate in small group discussions at Whitman Study Circles at the first of two all-day retreats. MCPS Equity professionals were able to lead the discussions about race at Whitman. Photo courtesy John Landesman. 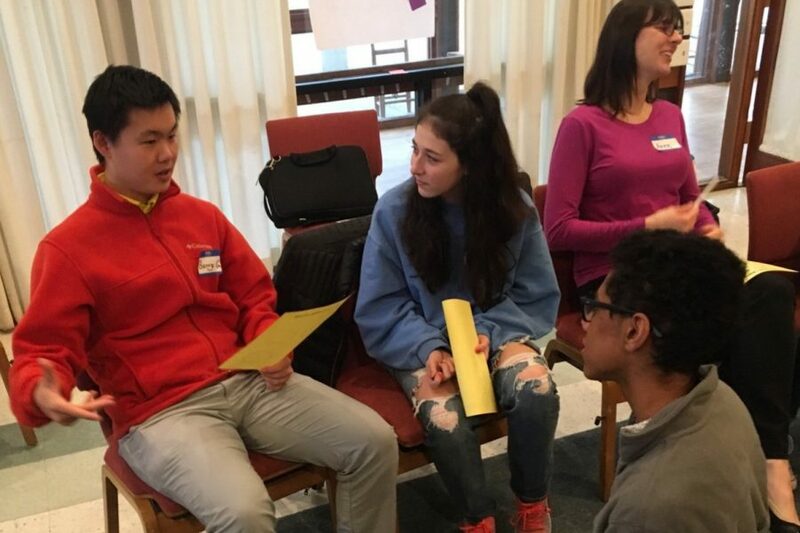 Whitman hosted the MCPS Study Circles program for the first time Feb. 12 and 27 at River Road Unitarian Universalist Congregation. The forum, facilitated by MCPS “equity professionals” from central office, allowed students and teachers to engage in discussions about the effect of race in the classroom with an additional focus on the achievement gap. About eight faculty members and 20 students selected by counselors and administration met for two all-day retreats. In the first session, they participated in a variety of introductory exercises and icebreakers to ensure an environment for comfortable conversation. Spanish teacher Kathleen Bartels, who attended the circles, noted how quickly participants warmed up to one another and how safe the environment was, she said. “In a situation when you have people using language, or hate speech or anything in a professional setting like a school, you probably have a lot more in common with people than you realize—it doesn’t take very long to get to a place where you can see that and reach that level of comfort with people,” Bartels said. The second session gave participants the opportunity to delve deeper into more difficult discussions surrounding topics like race and gender. Administrators applied for the program in the fall as another means for students to discuss how race impacts learning, staff development teacher Anne Chiasson explained. Even after these two sessions, the mentioning of these issues shouldn’t just disappear, she added. Study circles made an effort to represent students from different racial backgrounds and academic programs including varying course loads, ESOL and IEPs. Principal Alan Goodwin said he was pleased with the activities and hopeful that the sessions will produce valuable ideas toward cultural proficiency. 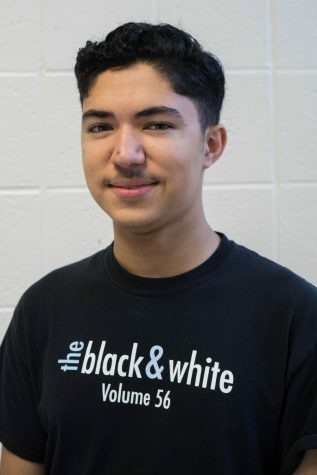 “This [equity] team is here to make sure that as much as we can everybody feels as comfortable here as possible and feels embraced by the school especially those minorities,” Goodwin said. Goodwin supports getting more students involved in the future and scheduling more study circles, he said. Some schools have visibly made the most of the program beyond it’s typical boundaries. Damascus High School, for instance, participated in school-wide study circles last June so that all students and teachers could get a chance to be heard. While Goodwin doesn’t currently know if such a large-scale event would be possible at Whitman, he said he believes students would be interested in revisiting the program. Junior Corine Hwang hopes that, after these sessions, people will finally begin to understand and respect others’ opinions. She said she was surprised to learn how many students don’t necessarily feel comfortable in school.